It can be difficult in Massachusetts to gain access to certain motor vehicle insurance policies for accident cases because of something called “anti-stacking” laws. However, there are ways to pursue, and reach, certain motor vehicle insurance policies which, at initial glance, one would not think are available. 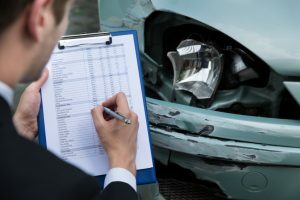 While it may seem obvious that the insurance policy insuring the motor vehicle operated by the driver at fault would provide compensation for an injured party, there may be circumstances where other Motor Vehicle Insurance Policies motor vehicle insurance policies may provide additional compensation. When a person is injured in an accident and the motor vehicle insurance policy which insures the other motor vehicle involved does not have sufficient coverage, then there should be an exhaustive search for other possible policies to cover the injury. In reality, the only way to properly secure information regarding other possible motor vehicle insurance policies is to commence litigation and to conduct civil discovery as to these other possible policies. While at first glance it may appear that other motor vehicle insurance policies, particularly insuring other motor vehicles not involved in the accident, would not provide coverage, they in fact may. There should be exhaustive discovery as to the availability of all possible motor vehicle insurance policies, including those insuring other motor vehicles which were not involved in the accident but owned by the other driver, as well as policies of any household members of any possible responsible parties. Depending upon the circumstances — and they can be very specific and complicated — an injured party may be able to seek additional compensation through a motor vehicle insurance policy insuring a motor vehicle not even involved in the accident. This may appear illogical at first, but depending upon the circumstances, it may be a reasonable course of action. In addition, there may be other policies known as scope policies, umbrella policies, excess policies or aggregate policies which provide additional coverage. No matter what these policies are called, they may provide additional insurance coverage to provide compensation to an injured party. Also, there may be circumstances in which an injured party is able to pursue another person’s or entity’s policies, such as the other driver’s employer. The circumstances providing for possible additional coverage are varied and complicated, but should be completely and fully investigated. In addition, depending on the circumstances, an accident victim may also pursue their own motor vehicle(s) or their own household members’ motor vehicle policies in for what is known as uninsurance or underinsurance. Again, depending upon the circumstances, other coverage may be available and there should be an exhaustive search of all possible coverage. No settlement release should be signed until these additional insurance policies are identified. It can be quite complex at times, but is very important to have a personal injury attorney identify all such policies before settling a claim. Quite often the best and most effective way of establishing whether these other policies exist is not to rely upon representations of insurance adjusters but to commence litigation and obtain this information under the pains and penalties of perjury.